In researching for our recent trip to Seattle, I soon began to realize how many family friendly attractions there are in the city. There is so much to do and see in Seattle, that our to do list was growing exponentially by the day. Our visit to Seattle occurred during the cold and rainy winter season, which meant our normal MO of urban hiking and exploring outdoors wasn’t going to be quite as available. Luckily, many of Seattle’s famous attractions are indoors. In looking at all of the things we planned to do, it became apparent that the amazing array of activities offered with the CityPASS Seattle passbook was the way to go. I have to admit, in the past, I was not the type who would visit all of the tourist sites in a city, so getting something like a ticket booklet of pre-determined activities wasn’t usually a consideration for my travel planning. 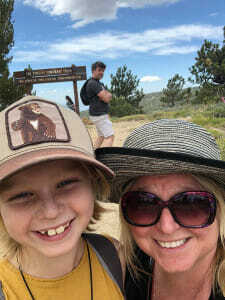 However, since having a child who wants to explore a city in-depth and is always interested in the child friendly activities at a destination, my way of travel has altered a bit to include many popular tourist attractions. The CityPASS Seattle is actually amazing, including everything a first time visitor would want to do and at an amazing value. It really is a must have for a first time visit to Seattle – with or without kids. 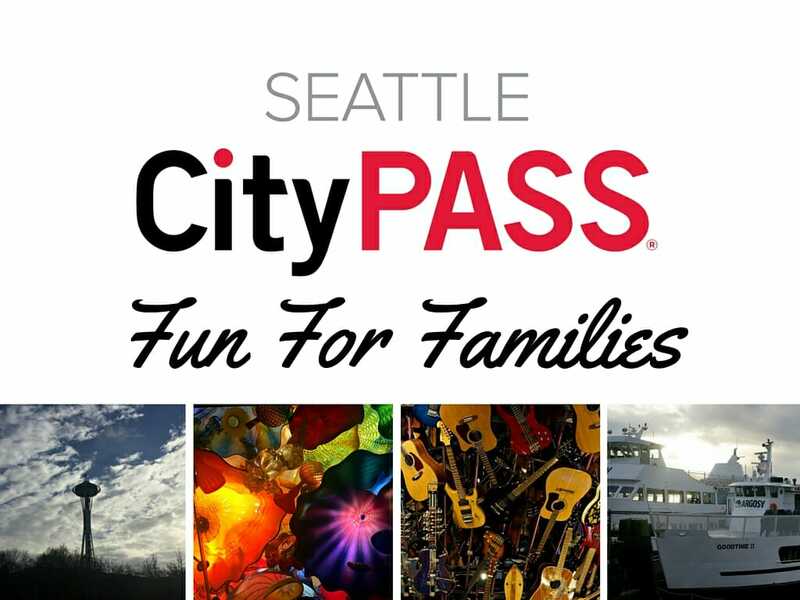 The CityPASS Seattle passbook includes access to 5 popular sites, including the Space Needle, a harbor cruise, the aquarium, the EMP museum or the Woodland Zoo, and the Chihuly Garden and Glass Museum or the Pacific Science Center. The only problem that arises is when you have to decide which awesomely child friendly activity to do! The CityPASS Seattle includes major tourist sites like the Space Needle, which is on everyone’s to do list. As a bonus with the CityPASS booklet, you get not one, but two entries (in 24 hrs) to the Space Needle. We had originally planned to go once during the day and then again at night, but instead, we happened across the Space Needle during a time of sun, so we popped up for our second viewing then. This is a must do for any visitor to Seattle – seeing the city from 520 feet above ground is breathtaking. It is also a great starting to point to get the lay of the land of the city. I was surprised to see so many hills. I didn’t have that mental image of Seattle before we arrived. Another great Seattle attraction included with the purchase of the CityPASS book is an awesome 1 hour boat tour of Elliot Bay. 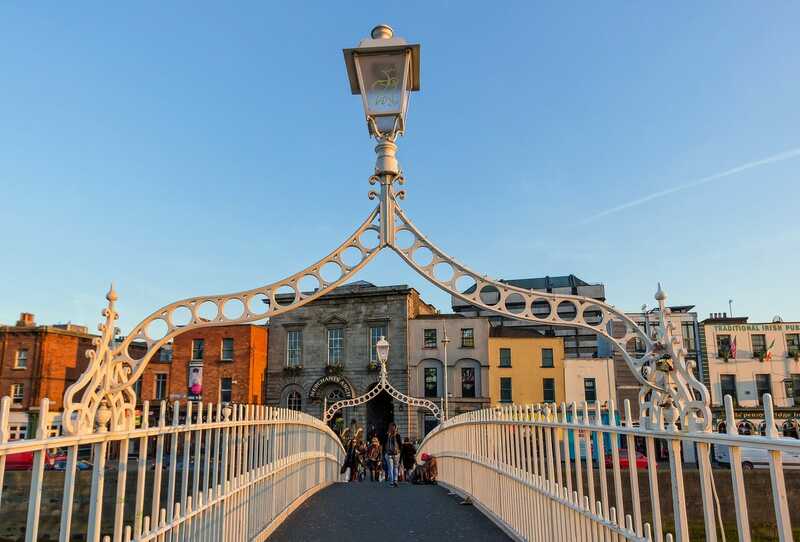 Even if the kids aren’t captivated by the narration provided during the tour, they will enjoy exploring all 3 levels of the boat and seeing the city from a different angle. Our son particularly loved the closeup view and explanation of the cargo ships at the harbor. Even on a rainy winter weekend, we had beautiful views of the city. We were even treated to a rainbow over the Space Needle! The third attraction included with the CityPASS is a visit to the aquarium. My son loves aquariums, but in LA it is about an hour away, so we don’t get to visit as often as he would like. During our visit, the aquarium was hosting a “Hawaii in your own backyard” weekend event with a Hawaiian dance performance and lots of games pertaining to tropical fish. My son particularly enjoyed a scavenger hunt around the aquarium. Oh and the amazing thing about having the CityPASS was being able to bypass the looong line snaking down the side of the building! Woo hoo! This ended up being an added bonus at all of the locations on our visit. Here is where you have to start making some decisions.. the EMP or the Woodland Zoo. As a family, we all love music and my husband is a huge sci-fi fan, so the EMP was high on our must do list. However, my son was hankering for the zoo. Since it was cold and rainy, it was a no brainer, we chose the indoor option of the EMP (Experience Music Project). Had it been a dry clear day, we would have had some serious family discussions about which activity to do. The EMP is a fascinating museum dedicated to music, sci-fi and pop culture. We had a great visit with our son, specifically playing music in the Sound Lab on the 3rd floor, but honestly I would have loved it even more had I been able to tour it on my own. The Nirvana exhibit was so interesting, but I couldn’t get enough time to take it in like I would have liked. Once you are admitted and have received your sticker, you are free to come and go to the museum throughout the day. My recommendation is to take turns enjoying the museum alone while the kids (and other parent) enjoy the awesome playground outside the museum! For very young children, I would recommend visiting the zoo instead as the EMP can be a bit dry for small kids who aren’t knowledgable about pop culture or music history. That said, there was a fantastic and huge Hello Kitty exhibit that some kids would certainly love! The other major hit for our family with the Seattle CityPASS was the Chihuly Garden & Glass Museum. It was fantastic! My son is only 5, but is super into art, so it’s not surprising that this was his favorite activity for our weekend visit. Walking through 8 rooms of intricately blown-glass art designed by Dale Chihuly was breath taking. Make sure to see the 30-45 minute glass blowing demonstration in the courtyard during your visit. It really brings it all together for kids (and adults) to see how much work has gone into each and every piece in the exhibit. It was mesmerizing. If you don’t think your family would be as blown away by this as we were, you have the option of visiting the Pacific Science Center. The Pacific Science Center is at the Seattle Center where many of the other CityPASS attractions are located. We saw lines of families heading that way during our visit. We are lucky in Los Angeles to have a fantastic science center, so we were happy to experience the uniquely Seattle attraction of the Chihuly Museum instead. In summary, if you are going to Seattle with kids (and even without! ), it is a no brainer to get the Seattle CityPASS. 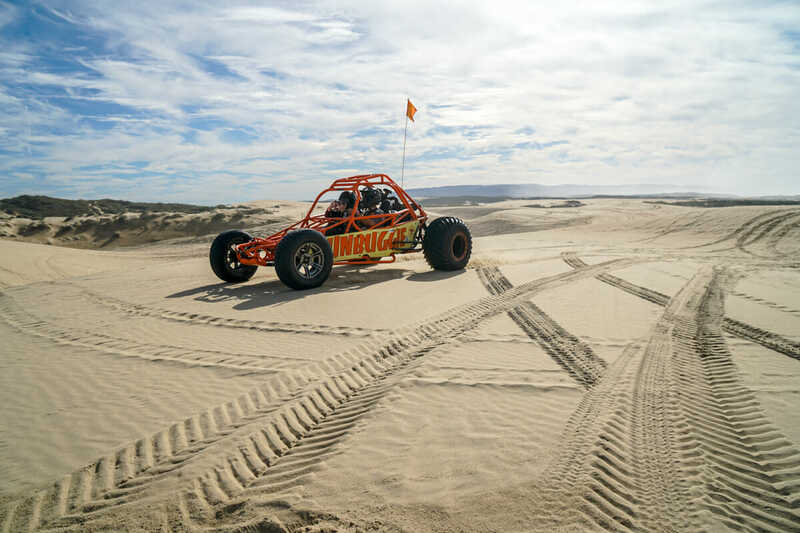 For $69 for adults and $49 for children, you know you have all of the main child friendly activities covered for your visit. The benefit of skipping lines is also an added bonus. If you are in town for longer than a weekend, you will be happy to know that the pass is valid for 9 days from first use. That means you don’t have to pack it all in like we did! The bottom line is, check out your itinerary and do the math – if you have several of these items on your to do list, it makes sense to purchase the CityPASS book, saving yourself time and hassle in lines! Now that we have used CityPASS in Seattle, I am very excited to check it out in some of my other favorite cities (Chicago, Boston Atlanta, Dallas, New York, and more!). Have you been to Seattle? What was your favorite attraction? Thank you to CityPASS for providing complimentary passbooks for our visit to Seattle. As always however, all opinions are my own. I loved the Seattle CityPass. Felt I got to do so much more than I would have otherwise taken the time to do. The EMP and Chihuly were my favorites. And so true about getting to skip the lines. That definitely came in handy. Not sure when they started it but it’s definitely worth the money if you want to do several attractions. I’m from Seattle, so I did these activities at a more meandering pace, but I can definitely say that they’re all great things to do here, and you’ll save a lot using the pass. I’m always hesitant because I’m not sure if all the activities included are really worth it, but they all are in Seattle. Sounds like a City Pass is definitely the way to go! I’ve always wanted to go to the top of the Space Needle and the aquarium sounds really neat! You get to see a lot of attractions with the City Pass. I’ll try to remember this when I’ll visit Seattle. I didn’t get a chance to do it so far, but it’s on my list of cities to visit. The chihuly was amazing! His work is all over the world. I’m now on the lookout wherever we go! A little pricey but so was the admission to EMP and the Space Needle anyway. Jump to the front of the line, yes please. 😉 Looks like a great ticket to have! Yeah once you plan to do at least 3 things it makes it worth it for sure! Wow, so many fun things to do in Seattle! I love that science park for kids, seriously! Interesting that it’s valid for nine days! Wow that would be a ton to do! For this one to make it worth it you need to do 3 things over the course of the week which works out pretty well. My home town! I love this place 😉 I definitely agree with getting the CityPASS, especially if traveling with kids.